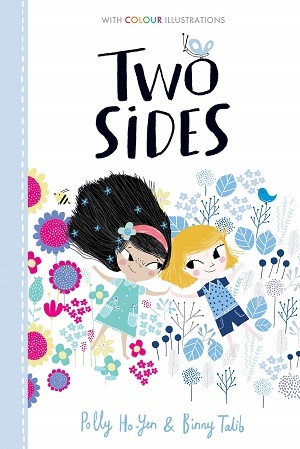 There’s so much chatter about ‘gender’ at the moment, so it’s liberating to see another children’s book with dual protagonists – a boy and a girl, both on a mission to overcome perceived ideas of who they should be and how they should turn out. Set in a sort of long-ago Iron Age, in which iron defeats magic, and before the British nation has any sort of identity, this is tribal warfare in deep dark forests, in which warriors are pitted against wizards, and witches are a third tribe, perhaps extinct, but definitely most evil. Prince Xar is a princely Wizard, whose magic hasn’t ‘come in’ yet, and is desperate to join his peers and brother in that attribute. Wish is a Warrior, determined to express both her independence and worth to her mother, the Warrior Queen. When tweens Xar and Wish meet by happenchance in the woods, both rebelling against their parents, it sets forth a rollercoaster of events and opportunities for both of them to prove themselves. Before long, it becomes apparent that the two tribes may need to come together in order to defeat a third. 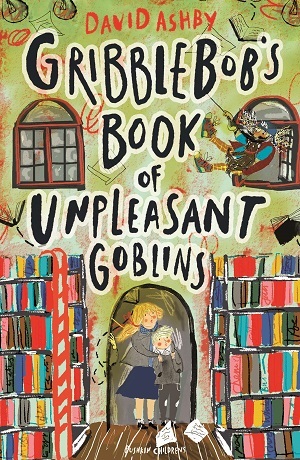 Cressida Cowell is an accomplished storyteller, having risen to fame with her prior series, How To Train Your Dragon. 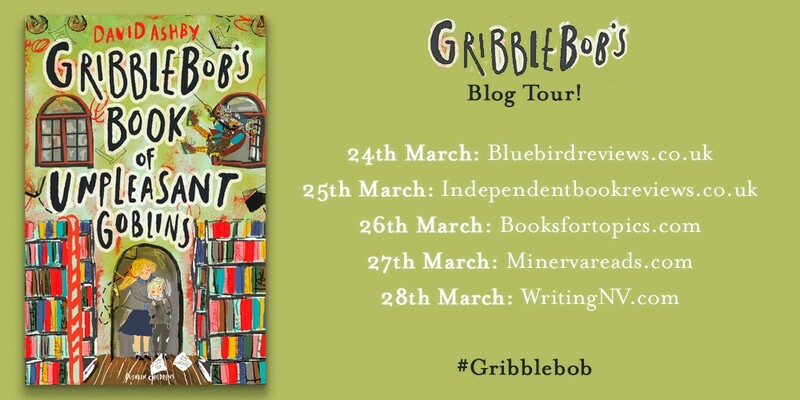 Not dissimilar, this is a world teeming with engaging characters, effervescent humour, and hugely wondrous world-building. 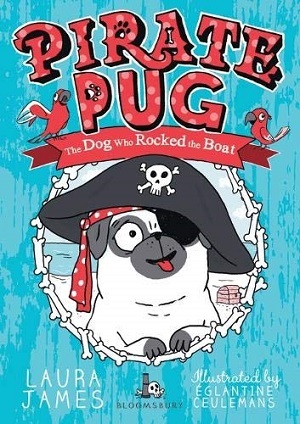 Cowell has a particular ability to pit deep questions alongside silliness and humour, so that readers are absorbing both with great delight. 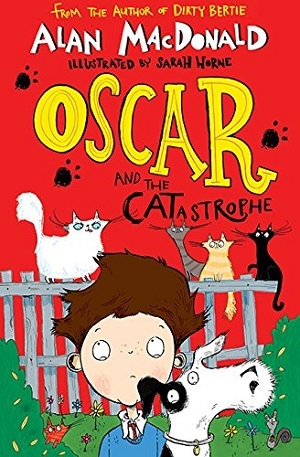 Cowell poses terrific questions such as, ‘what if what you had been taught to believe was wrong?’, and shows the reader how to see beyond someone else’s differences, as well as challenging perceived notions of upbringing and parents’ perceived perfection. There is plenty to love. Both characters, being royal subjects, are surrounded by entourages – Xar’s is particularly large, and includes a bird with a screaming sense of when things are rebellious or wrong (reminiscent of The Lion King’s Zazu). Wish’s entourage includes a bodyguard who faints at the first sign of danger, and an enchanted spoon. This kind of wackiness is enhanced by the purposefully haphazard illustrations (drawn by Cowell herself) that sit alongside the text, from the map of the lands at the beginning, to the various facial expressions of the spoon. The illustrations are scribbly and sketchy and give the impression of being spontaneous and highly creative, as energetic as the prose itself. The pace is fleet of foot and unrelenting, and this new world is populated with a realm of enchanting and peculiar creatures, from slow but philosophical giants to sprites, fairies, and ogres, all with their own individual personalities – be it cute and small, or large and menacing. But most of all, two things stand out. 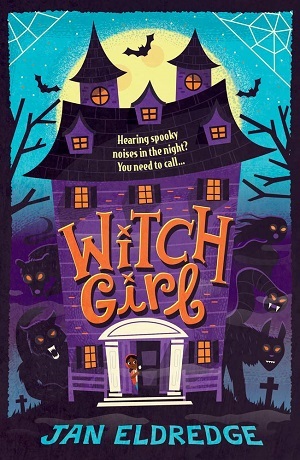 Firstly, Cowell’s voice, which is confident and unswerving, appealing to her young readers without didacticism or being patronising, but making them think. 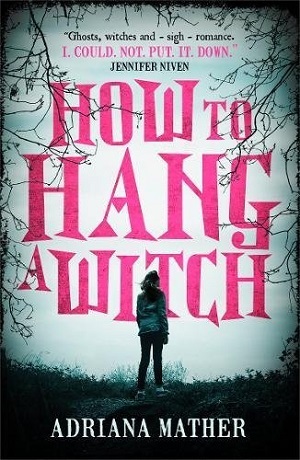 It also carries a humour and slight quirkiness, even posing the question to her readership of who this omniscient narrator might be within the story. 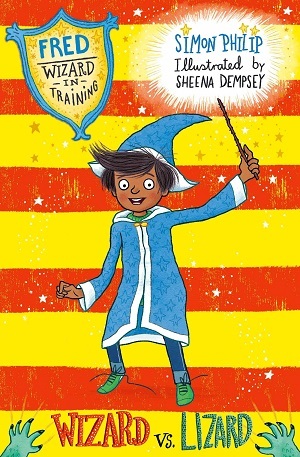 And secondly, the emotional intelligence with which she writes her young characters – they are authentic in their selfishness and desires as well as their relationships with their parents and siblings, and yet courageous and resilient, adaptable to the changes happening around them. If you buy a hardback copy, do look under the dust jacket for a rather shimmery surprise. Unfortunately though, the only fault lies also in the production. In my copy, the blackness of the background on many pages rubbed off on my fingers, leaving an inky residue, which meant that the book not only touched my heart, but certainly left its mark. 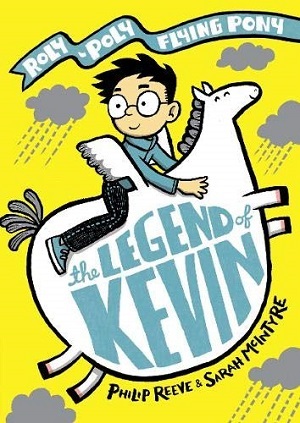 For the younger end of the middle grade category – this is suitable from 8+ years. You can buy your own signed exclusive edition from Waterstones here. 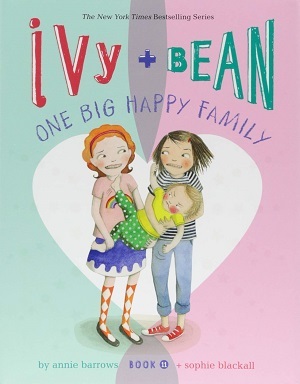 The author of Weasels and Nuts in Space has come up trumps with her new book, which at first glance, looks simply like an Easter holiday novelty title. However, it’s much much more than that, and for me, one of the top books of the season. With a quality control unicorn, health and safety, conveyor belts, a call centre and an ‘image change’, this is a sumptuous indictment of greed in manufacture, and a wonderful lesson about workers’ rights and factories, and the art of persuasion and negotiation. 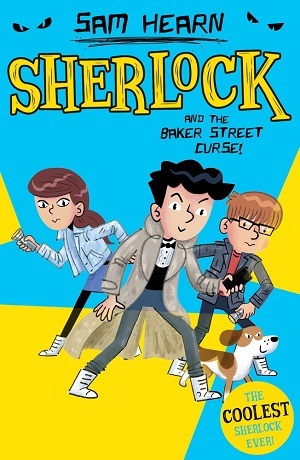 The plot is told through a combination of narrative, speech bubbles and illustration, at times combining to form a comic strip, and Dolan has imbued her book with subplot and much personality. 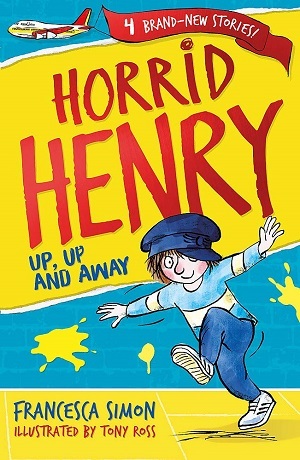 A brilliant book, with humour throughout, and a message that lasts long after you’ve consumed the final chocolate egg. Hunt it down here. Another gem, in a completely different style. Henn’s style is distinctive (she illustrates PomPom books, and previously shone with Where Bear?) and it’s clear to see the similarity here, although this time our protagonist is a girl. The message behind Edie is both simple and complicated. In essence it’s about the dissonance between what a toddler thinks is helpful and how an adult wants toddlers to behave. 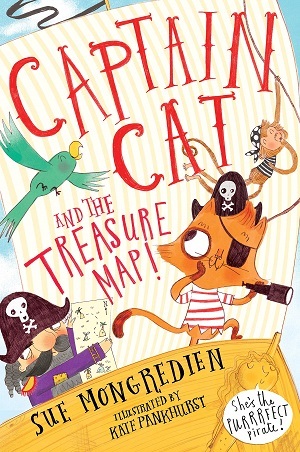 For grownups they may recognise their own impatience and frustration, and children will delight at Edie’s antics – knowing that they are usually deemed naughty. However, with a bit of philosophical distance, we can see that Edie is learning through play – and perhaps we impose too many restrictions on children’s freedom. Where’s the line between experimentation and good behaviour? A thought-provoking yet lovely little charmer in beautifully muted pastel shades. You can buy Edie here. An impeccably silly title, which teaches counting and numbers to the very youngest audience, whilst also showing children that simplicity is often best. 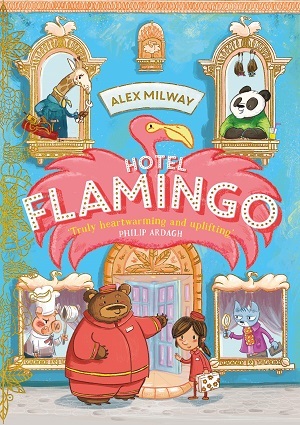 Will Mabbitt may not be the best illustrator, but he can certainly use his imagination and make the reader laugh. With its neon colours – bright yellow background cover with a pink neon worm, and bold blank spaces, this is a startling book – in that it takes minimalism to a new degree. If you want a book to make your little one laugh, then this is it. Just worms, a dreadful accident (I think you can imagine what) and some more worms. Tongue-in-cheek to the nth degree. Draw your worms here. In contrast, here is someone who can really draw. The illustrations in this book are old-fashioned, and impeccably lifelike. The Lost Kitten tells a simple story about the possibility of loss after finding something you love. Hina and her mother find a scrawny kitten in their doorway. While they are busy, the mother showing how to take responsibility for a kitten and how to care for it, the kitten is lost. There is, ultimately, a happy ending. The rough edge to the pencil and paint illustration gives the impression of furriness for the cat, and a slight mist to the humans, so that they feel storylike and whimsical. I was particularly taken by the view of the back of Hina in the wind, with the branches shaking, as she calls for her lost kitten. A desperation rendered from the back is quite something. It’s these different perspectives that give the story pathos and magic – a distant view of a crowded pavement, a close up of the found kitten next to a boot, the startling shining of the cat’s blue eyes cradled in the arms of the girl (her own face looking down so that eyelashes are more prominent). Find your kitten here. Other titles to admire include Tasso by William Papas, a re-publication of a 1966 book, but which seems ever more relevant with its fable about tradition versus change, machines taking the place of humans. Set in a Greek fishing village and illustrated with dazzling watercolours, Tasso’s music playing is no longer needed when the café buys a juke box. With deft touches of humour in the illustrations, this is a throwback to the era, and all the more wonderful for it. In the end, of course, authentic music making prevails. Pre-order Tasso here. 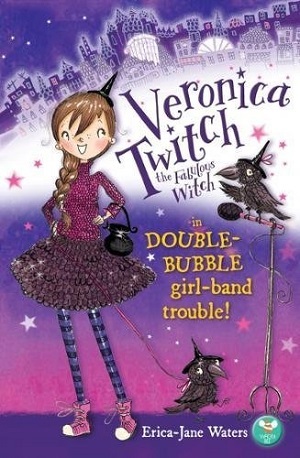 Another re-publication, this time a bindup of three favourite Winnie and Wilbur tales. Winnie and Wilbur: Gadgets Galore by Valerie Thomas, illustrated by Korky Paul also plays to the moment with its tales of Winnie ordering a computer, outwitting a robot and zooming to space. 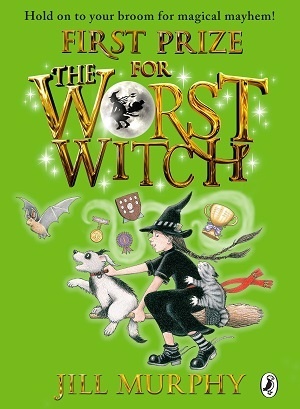 Trademark spiky and colourful illustrations, children never tire of witches and the magic that goes wrong. Get your copy here. And lastly, but by no means least, a wonderful hybrid of fact and fiction in The Curious Case of the Missing Mammoth by Ellie Hattie, illustrated by Karl James Mountford. So many parents lament that their children stick to non-fiction – nothing wrong with this – but here is a book that might fit. Timothy needs to find the missing mammoth and return him to his rightful place within the museum – on the way, trekking through the various rooms, and lifting the flaps, Timothy and the reader learn an assortment of facts, including history, art, aviation, and dinosaurs. A hodgepodge of goodies, in scintillating contrast and colour, so that the pages are busy without blaring, intriguing without intruding. An excellent introduction to the world of museums. Be inspired here. A wintry picture book about a squirrel’s first experience of snow is a perfect first experience book, which also teaches that sharing a new adventure with someone we love is the most gratifying way to experience it. The personification of a squirrel to show a child’s exuberance and delight in first snow is a clever choice – the scampering and scurrying reflects a child’s enthusiasm. There is much to be said for the beautiful language in the book, transposing the vocabulary for snow onto the language of everyday: Squirrel has a flurry of dreams. It even starts, “once upon a winter…” There is lots of sound language too – the thud of the heart, the squeedge as he wipes a paw across the hole to see outside – in fact this window circle is cut through to the next page, adding an extra element of wonder and magic for the reader. An anticipation of snow is tensely built and then the fun really starts when it snows – told in an active vignette of images, from the crunch of footsteps, to snow angels, and the creation of a snow bear. But there is also the stillness that snow lends to a landscape. But most of all the book shows the relationship between the two friends: his companion, the old Bear, who has seen many seasons, whereas Squirrel, has seen only three. When the snow finally comes, Bear is ill in bed, so Squirrel brings him a gift, with the innocence of one who doesn’t realise the transience of snow. The illustrations of the characters are cute, from their black noses and whiskers to their rounded silhouettes. A bright colourful palette is lit particularly by the squirrel who is a luscious orange red colour, and wears bright clothing to distinguish him from the brown trees and snow. This accentuates his youth even more – he lifts off the page, whereas the Bear is shown more muted with age, shown on some pages from just his reflection in the pool of water, or just his back shown in an armchair, or just his arms, holding and consoling Squirrel. This is a lovely winter book, with sneezles and snowflakes. You can buy it here. Ever since Frozen, the idea of an ice palace has been a coveted house in many young children’s minds. This ice palace is actually a factory that makes snowflakes, with the boss being The Snow Queen, a sort of Willy Wonka who insists on perfection in her flakes. Princess Ellie would rather play with the weather, riding storm clouds or sliding the rainbow. When the Queen leaves Ellie in charge of the machine while she attends to other weather business, the snowflake machine comes to a grinding halt and the princess has to make flakes by hand. The vocabulary here is also full of sounds, as the author explores what the machine needs to do to make snowflakes, from splatting the clouds to crashing, boings, bangs, and pops – it’s a great book to read aloud – the size of the typeface reflecting the words’ noise level. Again the essential fun of playing in the snow is captured in a beautiful double page spread as the children below the clouds play on their ‘iced bun’ hills, shown sledging and skiing and making snow angels and rolling snowballs. The colours of the children, each in bright coats, hats and scarves mean that the twinkling of the snowflakes are a perfect background to the riot of colour. All the illustrations are a child’s delight – lots of different shaped snowflakes falling on every scene, and a princess and her mother who look particularly picture-book friendly with small yellow crowns, rosy cheeks and shiny blue hair. The rhyming is spot on, and it turns out that homemade snowflakes, each unique in its own way, are better than factory created ones. Perhaps a bigger moral for us is that the Queen ends up making snowflakes with her daughter. You can buy it here. Lastly, the Raven Child and the Snow Witch. A slightly more sinister story, although by far the glitteriest front cover. Drawing on tales of evil Ice Queens, such as the Snow Queen in Narnia, this is a tale of a stolen mother, a brave, slightly feral, child and her relationship with nature and animals. As in Rapunzel and Beauty and the Beast, in which the picking of flowers leads to danger, Anya’s mother journeys to the glacier to pick blue gentian flowers. But one year she doesn’t return, and Anya and her father must travel there too to find out what has happened. She has been trapped inside the ice by the evil Snow Witch, and Anya, with her father and the ravens, must battle to save her. 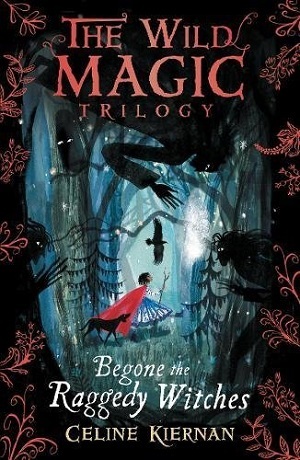 A haunting fairytale, this book excels with its dramatic artworks. Rather like the textures and colour layering used in Eric Carle books, the child is depicted as of nature, with her brown leaf dress, and her affinity with the ravens and the foxes. 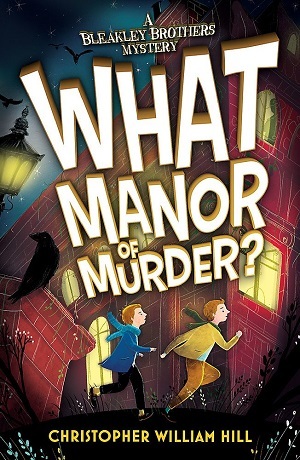 The illustrations are drawn from different points of view – looking through the trees towards the building that dominates the snow garden, or seeing the trees in the forest as if they are watching, or zooming in to the Raven Child’s face and her huge blue eyes as she receives a vision of where her mother is being held. Dreamlike and lyrical, the illustrations have sharp edges, which lends a darkness to the tale. The place could be anywhere, with fragments of the Northern Americas, with Inuit overtones, and yet also, strangely, slightly European – calling up the huge expanses of Germanic forests. In the end it is bravery and the power of love that conquers all. One to savour and revisit – reminiscent of Peter and the Wolf, set to music I can see this as being a long-lasting winter tale. Check it out here. For Christmas Day, a special classic. This key text in the children’s literature canon is always a delight to revisit, and once it’s been read with the children, it’s always fun when they spot a ‘Narnia’ lamppost when out and about. In fact, it’s the wondrous images created by the book that endure, and is one of the reasons why it’s a classic. From Turkish delight, to a fur-coat laden wardrobe, to a lion (Aslan means lion in Turkish), to Mr Tumnus. In fact, the book reportedly began as such an image, when CS Lewis pictured a “faun carrying an umbrella and parcels in a snowy wood,” according to his essay ‘It All Began with a Picture’. This, is in fact, a wonderful resource for writers, showing how Lewis wrote, and how a picture that had been in his head since the age of sixteen turned into a novel at the age of forty. So what’s the book about? Four children, evacuated from London during the blitz, stumble upon a strange new land through a wardrobe in their new house. This land, Narnia, is under the spell of the White Witch, (a spell of eternal winter with no Christmas). But with the help of the four children, Peter, Susan, Edmund and Lucy, soon a new dawn arrives with spring on the horizon. It’s a fantasy landscape, with magical creatures, and yet the normalcy of sibling relationships and rivalries is never far away. Of course, in children’s literature terms, the blitz was a gift as a literary device – an absence of parents, a new landscape, and a dark threat of insecurity hanging over the children’s lives. Numerous authors made use of this device – Carrie’s War by Nina Bawden, and Goodnight Mister Tom by Michelle Magorian are another two evacuee classics. But Lewis juxtaposes the very real experience of being a wartime evacuee with a fantasy landscape. Many point to the Christian allegory that they say underpins the book, the seasons of winter and then the spring when Aslan (representative of Christ) arrives, the stone table for the stone tablets of the Ten Commandments, the temptation of Edmund eating the ‘sin’ of Turkish Delight just as Eve ate her apple. But C S Lewis tended to deny this was the crux of his story – in fact there are many mythologies and fairy tales alluded to within the text, none more obvious than the borrowing of the Snow Queen from Hans Christian Andersen; Lewis transforming her into the White Witch who turns people to stone rather than ice, and who also manipulates a boy from the comfort of her sleigh. It also features Father Christmas.